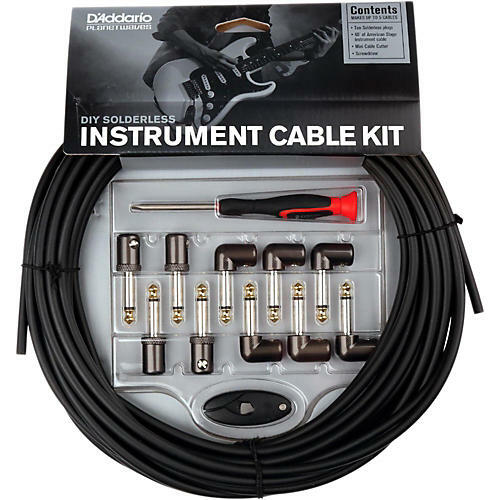 The Planet Waves Custom Instrument Cable Kit is the ultimate solution for customizing any combination of instrument and pedal board cables. Inferior patch cables can cause signal loss and undesirable coloration to your sound. Planet Waves plugs and audio cables are specially designed to provide the most accurate and reliable reproduction of your sound from guitar to amp and all points between. Includes 50' of cable, 6 right-angle plugs, 4 straight plugs, and a mini cable cutter.